There are so many different types of inks on the market, especially the color probably most often used, black. It’s hard to know sometimes what the best ink is for your the stamping technique you’re doing, are you embossing, coloring with water colors, using alcohol based markers, colored pencils?? 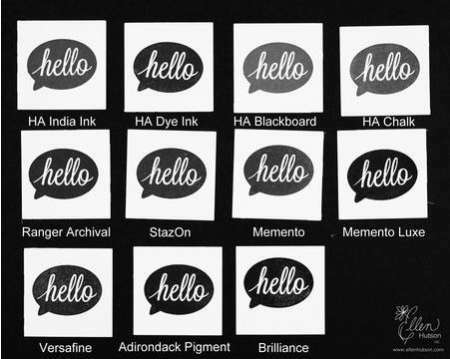 The Ellen Hudson blog has an extensive review with information about 11 different black ink pads, it’s filled with really great info!